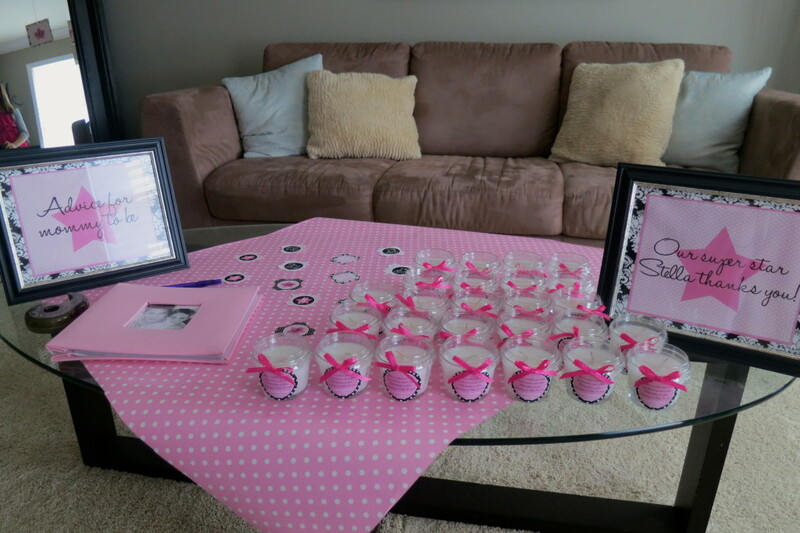 The name Stella means “Star.” What better way to throw a baby shower than to encompass what matters most to this beautiful mother-to-be, her future baby girl, Stella. 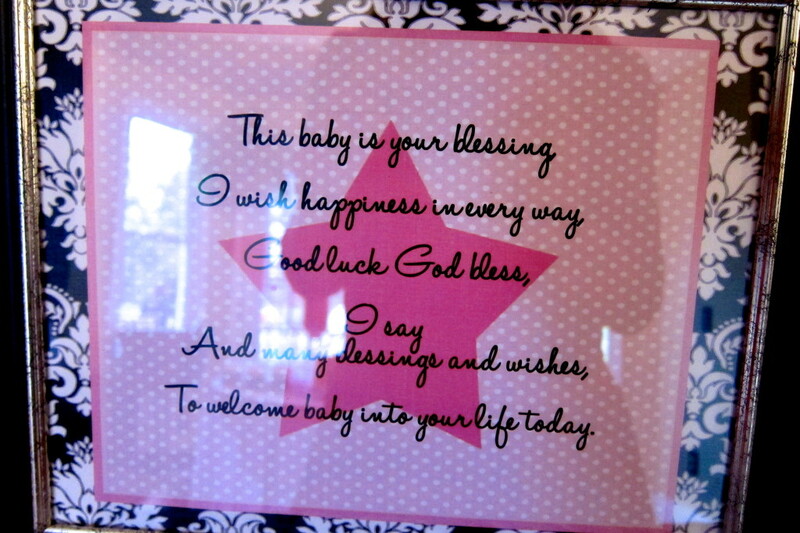 This “star” themed baby shower was a darling affair. 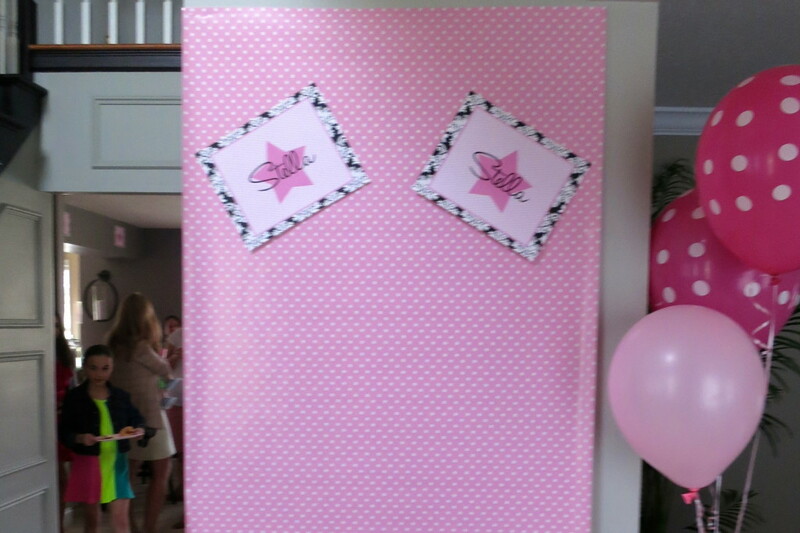 Maybe it’s all the pink and polka dots that get me all gitty inside. This was such a fun event to plan with great friends. 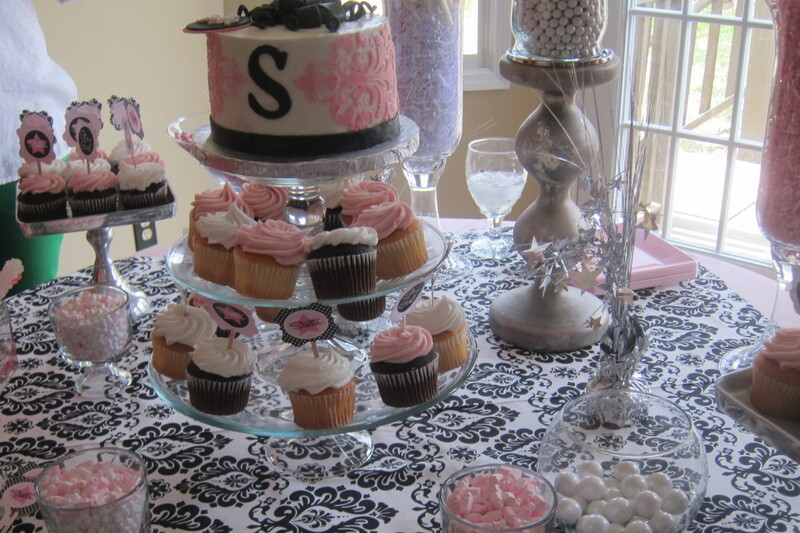 The colors used throughout the baby shower were girly pinks, polka dots, damask for some class, and a lot of stars. 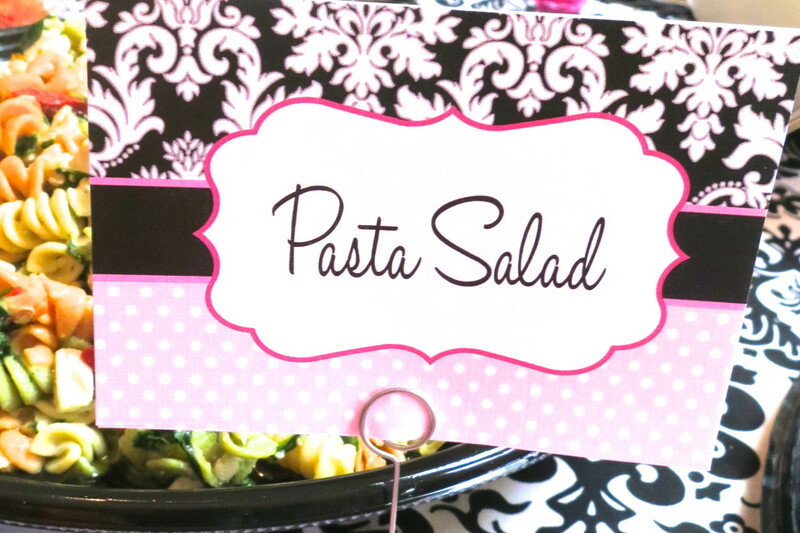 We partnered with Paper Frosting to put our wonderful ideas on paper. 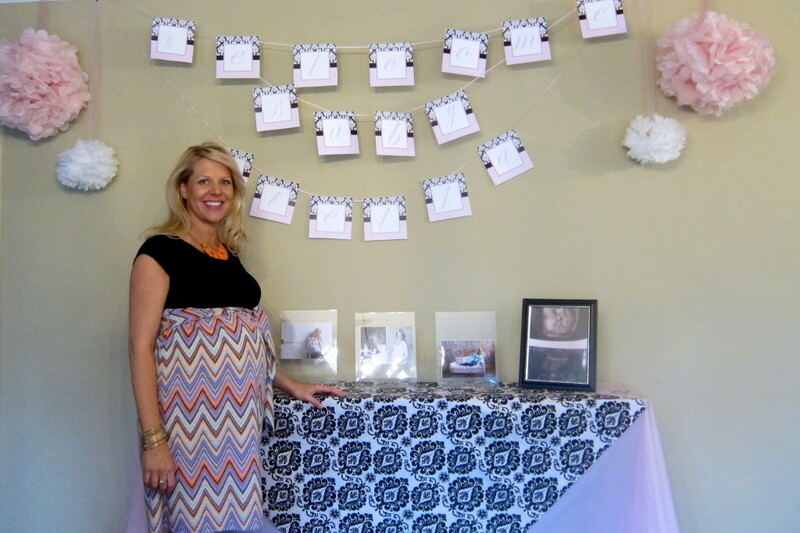 Some of the highlights from the shower included many of the mother-to-be’s favorites. 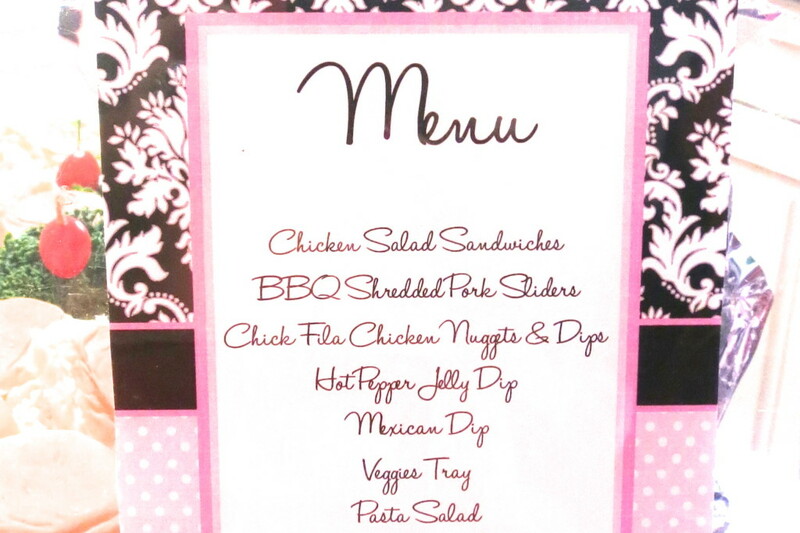 We had a “Super Star” menu that fed over 40 guests including a dessert table of sweet treats. 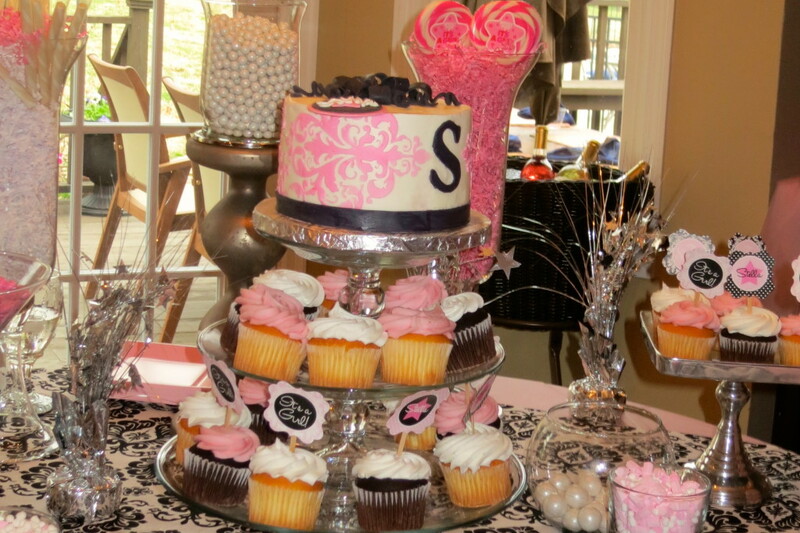 Lots of chocolate candy, pink passafire candies for the guests to nibble on, a cupcake tower that included cupcake toppers with different phrases such as Stella, STAR, SFS(her future monogram), and lets not forget the gorgeous cake on top of the tower by Hock-Cakes. 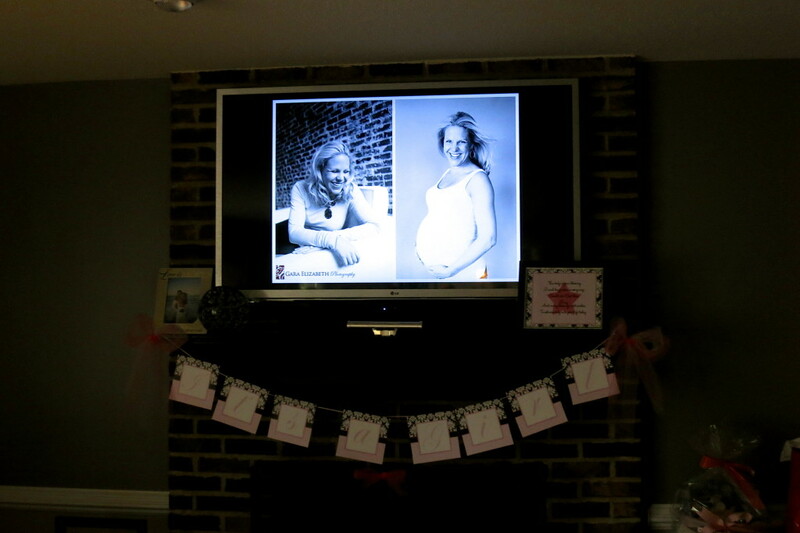 Maggie is a beautiful & dear friend so what better way to showcase it by displaying some fabulous pictures she had taken of her pregnancy. In addition to this we created a space on the wall that included pictures of herself as a baby into her childhood along with pictures of Stella’s dad. This was a great idea to look back and reminisce and of course get the parents involved in their darling affair. 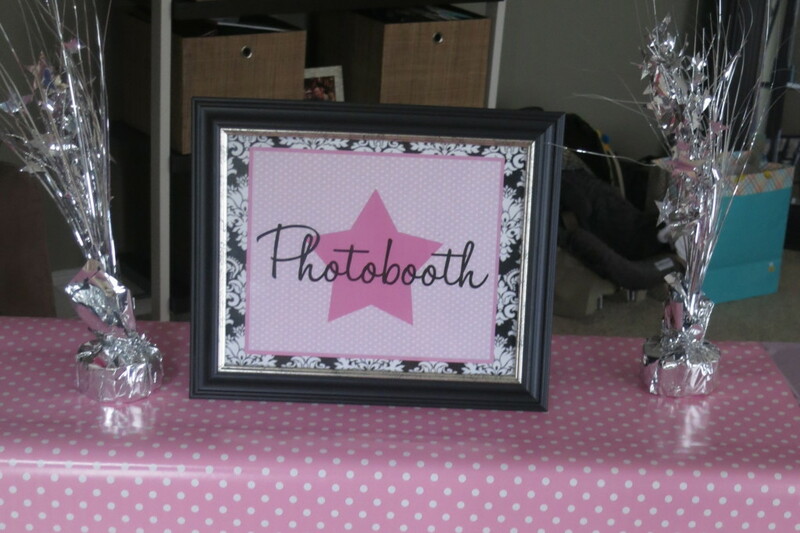 Photo Booth, It wouldn’t be a CC event without one! 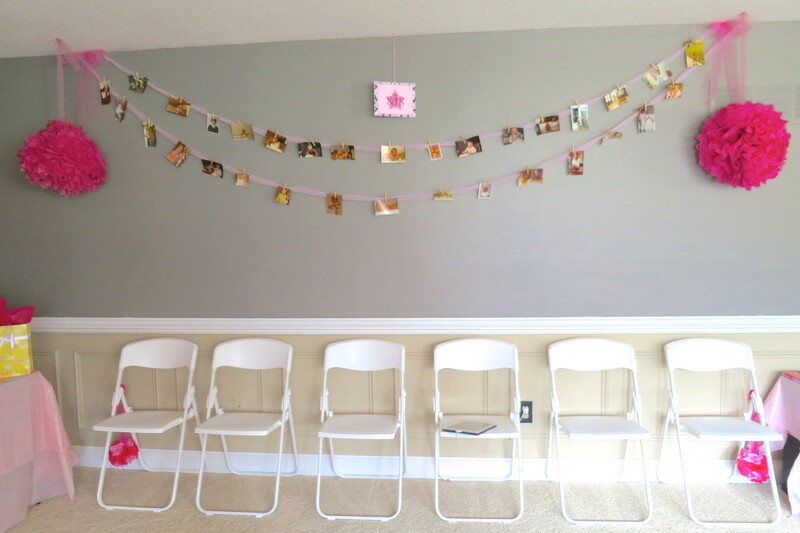 We created a space on the wall in all things pink and polka dot to snap some shots of Maggie and her guests with an old time Polaroid. 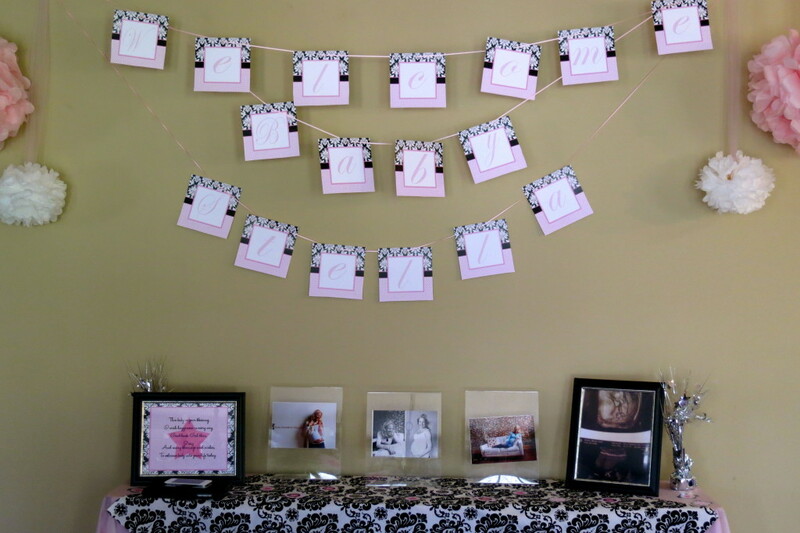 We then asked the guests to write some advice for Mommy-to-be and added it to a photo album. This is something she will always have to look back on and cherish. 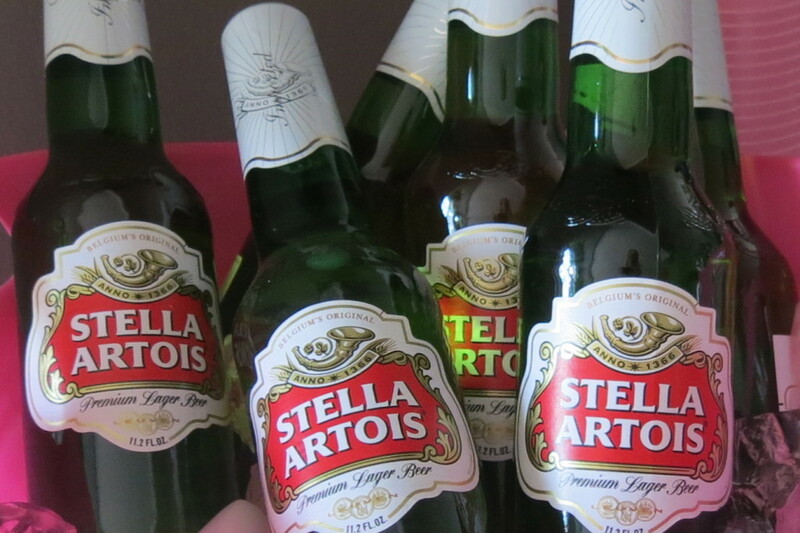 Lastly, it wouldn’t be a shower without the guests getting showered too. We asked them all to take a shower gift of a candle as they walked out the door. The candle was a blessing for baby Stella and we asked each guest to light at night and say a prayer for this beautiful baby on her way!